I have been thinking of designing a set of floral fabrics, probably as watercolors. Today’s doodles were inspired by the idea for the fabric, though in black and white. 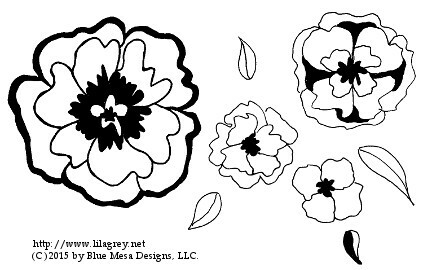 I love flowers, and I can imagine doodling some of these shapes on art journal pages in the spring. I have not arranged these in any particular order or pattern, I am just posting them as they are. How would you use these on a page? By the way, this is the end of week 2! 14 doodles later, I am assembling a collection of art journaling elements.